City of Doral presents Ritmo Doral Festival. MIAMI, FL.- On Saturday March 25th, the City of Doral presents Ritmo Doral, a multinational concert featuring international acclaimed Colombian accordeonist Anibal Velazquez and Aruban pianist Johnny Scharbaay. This free, family-friendly festival – that will take place at in Downtown Doral Park – is a Rhythm Foundation production featuring music and culture from Doral’s sister cities Armenia and Barranquilla, Colombia and Oranjestad, Aruba, promoting cultural, diplomatic, business and tourism ties. Ritmo Doral will also celebrate the signing of a Sister Cities agreement with Armenia, Colombia immediately preceding the concert. Straight from being honored at the massive Carnaval de Barranquilla, Aníbal Velásquez, Ambassador of Colombian Music, will headline Ritmo Doral. 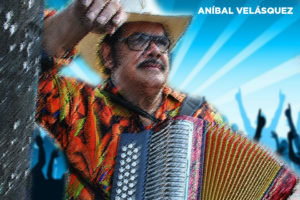 Known affectionately by his fans as ‘El Mago’ (the Magician), Anibal has been one of the most prolific musicians of Colombia’s Musica Tropical movement. An innovator and rule-breaker, Aníbal Velásquez and his band have been incorporating new instruments and re-inventing old rhythms, replacing elements of Cuban guaracha and rumba with Colombian percussion, and creating a sensation that has launched more than 300 hit albums. Pianist Johnny Scharbaay and his seven-piece band get things jumping at Ritmo Doral with a musical fusion from the tropical island of Aruba featuring the caha di orgel and steel pan. Trained at the Conservatory of Amsterdam, Johnny and his band skillfully work every musical style together in an eclectic fusion of Aruban folkloric, classical, boleros, tangos, waltzes, dansas and tumbas. Johnny proudly assumes the role of musical Ambassador to the Oranjestad-Aruba and Doral-Florida Sister City partnership. Carnaval de Barranquilla USA will keep festival goers stepping to the beat by leading a procession through Downtown Doral and a variety of satisfying food and drinks will be available for visitors to sample, including gourmet coffee from Doral’s newest sister city, Armenia, Colombia.